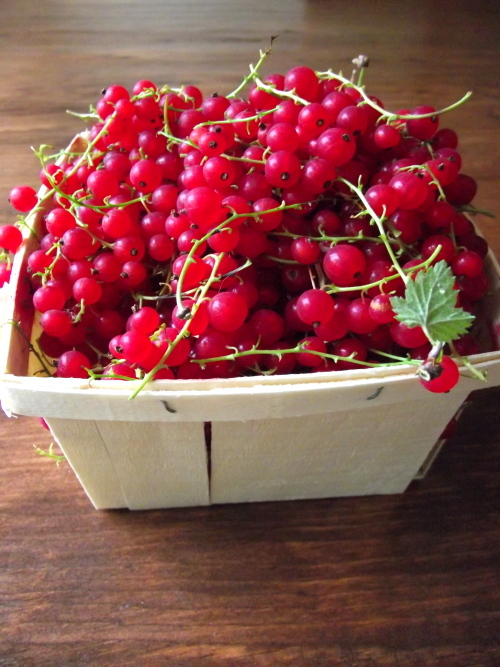 My neighbours have several redcurrant bushes in their yard that I get to pilfer from whenever I like and right now they’re practically dripping with those beautiful little red berries. The thing I really love about this sauce- besides the fact that it’s really easy to make- is that it’s incredibly versatile. We’ve put it on everything from salmon or lamb to ice cream and french toast. I like my sauce to be more tart than sweet, so adjust the sugar amount to your taste if you want something that’s a little sweeter. Honey also works well in this recipe as an alternate to the sugar. 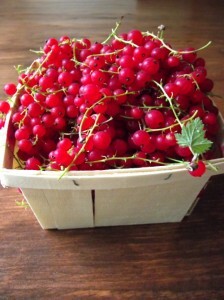 Remove the berries from their stems and rinse them well. Put in a large pot with sugar and simmer on medium low stirring occasionally for about 20 minutes or until the berries are pulpy. Pour liquid through a fine strainer or sifter to remove seeds and you’re ready to go!